it measured a little over 21 inches. I didn't weigh her. I wanted to get her back into the water to make use of those eggs. 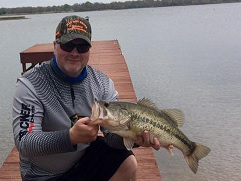 Lake Fork is Texas treasure.